Before we delve into the aspects of finding an executive job, let us go down to the core of this topic and understand what an executive job is? 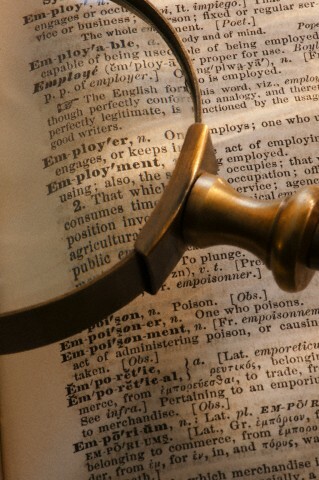 Execute in layman’s terms means to perform or carry out a certain action, plans or duties. So what does ‘executive’ stand for? It applies to a person or a group of persons who posses administrative skills, supervisory authority and execute their duties in a well organized manner. Let’s now see what is an executive job? Executive jobs mostly involve the person or group of persons to cleverly lay out the paths to an exigent situation, which requires them to have a strategic view of the business they are into. Master the concepts of trends and technologies, competition surrounding them etc. What else does this involve? It requires them to stay on top of their heels while on duty. They basically are responsible in representing the firm’s ideals and motives. Stand by the company’s vision, mission, objectives and targets. The administrative and the management department is where these guys primarily belong to. Whether you are an up comer or you are trying to break into the ranks of the upper management, you need to understand the technicalities of the position and the challenges that you will soon face. Even if you are an experienced hire, it is imperative that the job markets are well understood, especially determine the recruitment pages and understand what they are looking for at this point in time. What is the skill sets demanded of an executive or an administrative person? Or simply what does it take to be that executive personnel? Most people are found to be vivacious and confident about their roles. They also are very good orators. Logically sound and quick witted. Street smart and effervescent. On the bottom line, what you need to gain is a strategic perspective of the environment, have strong business acumen, a global outlook and finally maintain a high integrity. 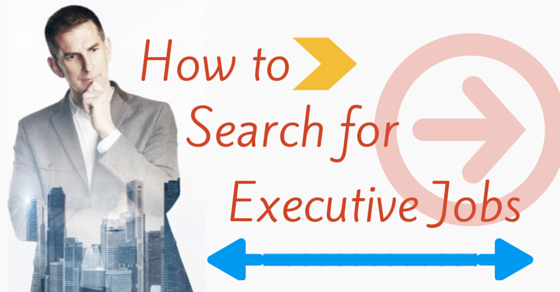 In the next section of the article we will see, how executive jobs are searched for? What could be the essential strategies and new rules that one must follow so as to obtain his or her dream job? Most of us by now have realized that this kind of a job opportunity does not surface the market economy very obviously. It is so-called the hidden market. Most of us are also well versed with the traditional form of finding jobs that is applying on the online portals, or coming across one on a public listing. But that is not precisely how executive jobs are filled for. When a firm is in the need of an executive they often turn towards what is known as ‘head-hunters’ that is executive search firms. The task that these guys are bestowed upon with, are to find the best possible executive candidate. The irony here is, executive jobs cannot be found by you, while the jobs themselves find you. Based on the key skill sets that you are proficient in. 2. Executive Jobs, Recruitment and the Executive You! How does one assess the qualities of a person in 5 minutes of precious time? It is by looking into their resume. Resume is the key to one’s success. So carefully craft your resume that describes your life in five minutes. Well we have all seen and known for a fact that there is a plenty of advice available to create an impressive resume. But what matters is how dedicated and knowledgeable your stint has been which is shown in the resume. There are several ways that a firm can notice how good you are with your talent and skills. We will give you a highlight here as to what could boost your resume. First, you could try and get your name listed in the industry’s trade publication. If you have carried out an important leadership role in something your company has been successful about, then make sure credit is given to you and your name is mentioned in it. Make sure your achievements receive sufficient highlight and that you receive judicious accolades for your performance. Recruiters mostly refer to so many trade publications to fulfill their requirements, hence it is important to get your name listed in there with a justifiable honor to your name. And if you are involved in something bigger that could get your name in a mainstream publication, then life is so much easier. Also, try and get yourself to write in most magazines, blogs and websites. Writing is a very good way of getting attention to you by the recruiters. As it shows that you are in touch with what is happening in and around you. Try offering a piece of your expertise in an industry blog, or a regular column, or may be in a trade publication or as a guest article. This could be an intuitive move to get a consultant’s attention to your resume for the same role. Don’t forget what a blessing online portal is. Go social, go online and go networking. It is in your best interest that you take full advantage of the opportunities that the internet brings to you. Network to your best online to find better suited executive jobs. Social media is an amazing way to reach out to potential new contacts and also stay in touch with those best buddies and instinctive mentors who have come with you in your journey. We will now move on to the essential strategies section. Since many professionals find it difficult and are baffled by today’s challenging situations we are now going to outline a few strategies that may help some of us. What we have aimed to discuss here is about personal branding. What is branding? It is an identifying mark or a particular name given to a person or thing to demarcate from the rest of its kind. Therefore personal branding is all about “you”. What you do in order to demarcate yourself from a pool of similar people. What steps you take to stand out of the group and let people recognize you for your talents. You have to determine as to what authentically makes you the person you are. Your passions, the personality traits, core strengths and motivated skills is what encompasses the branded you. By incorporating all these components, you are in a position to create a unique personal brand statement that differentiates you and values your knowledge. It sets you apart from your peers. There exists a certain type of body language or chemistry that defines your persona; this makes the recruiter a happy person as it is easier for them to assess if you are the right candidate that they are looking for. With this concept and understanding in mind one feels confident and ready to take on the world. It’s a promise that you make to your clients and customers that you are packed with a bag of personal marketing materials and are unique to the best of yourself. This is why they must choose you for your online and offline promise of deliverables. Since it is always better that you under promise but make sure that you over deliver. We should know that everyone one of us carry a tool kit of characteristics. In this tool kit executives are supposed to carry marketing and communication strategies. Apart from these key skills one should also carry certain physical documents that prove you to be who you are claiming to be. 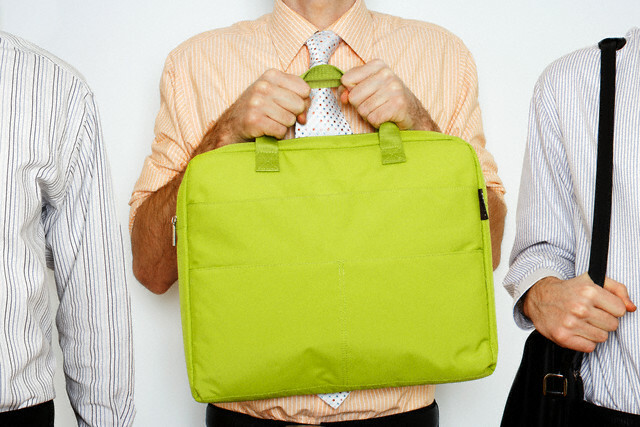 Carry an executive resume. A biography of your career. A reference letter and a dossier are must haves. Keep them handy in all formats required. A very important thing that you must not forget is to create an e mail signature with a compelling tag line. Also remember a resume should be no longer than two pages. Most of us may have many career success stories, so don’t forget to carry your achievement documents that act as substantial proofs. A few other supporting documents that are must haves would be Leadership Profiles, Accolade summary, a one – page networking profile and project management highlights etc. This is called the LinkedIn profile strategy. It is imperative that you have a LinkedIn profile to network and market yourself amongst a pool of professionals. Many recruiters find their best men in such social networking sites. This move is to optimize the chances of your resume being selected. Create a branded profile and upload it onto the site. Leverage the facilities that LinkedIn offers to you, and make best use of it to tap the hidden market. Connect directly or indirectly with decision makers and make LinkedIn your one stop place for finding the right job. Perform a research, analyze the market, determine the trends, master the new approaches, identify challenges, explore the hidden world and prepare yourself to crack it the best possible way. Track down the prime officers and key firms that you would want to be a part of. Decide and execute your moves skillfully, so as to find yourself caught in the right job that you have dreamed of. To do the above, you could read a lot of articles, research writings, blogs and newsletters. Learn about the positions that your competitors are into. Once the above is performed, finding yourself a C-Level executive job is as easy as slicing a cube of butter. Nowadays everyone and everything is moving up the internet. Hence, creating an online personal brand is as important as making your resume strong with skills and knowledge. Create a sound and stylish brand is such a way that hirers cannot miss you. Building a brand that is solid enough to last a long term life is an ongoing process. To do this here are few steps that are outlined to make the understanding easy. First, create multimedia rich visual curriculum vitae. Become a designer for a few moments and design your media rich profile. Make sure that this media file houses all your achievements and accolades. Another way of building your brand is to start your own blog or your own website that showcases your value and skill sets. This is done so that recruiters or decision makers find you when they are searching for potential candidates. We must all agree upon the fact that whether it is a fresher seeking the job or a mid-level hire seeking an executive job or an executive seeking a chief leadership role, it takes all together a different level of thinking to find your fortune. But one must remember that the role or this job profile is not minimalistic. There is an abundance of opportunities lying in this hidden market. To think of it any field needs an executive to perform the front office managerial and administrative service. Be it the textile industry, or the technological industry or the agricultural industry. Most firms need them for a smooth functioning. Remember that you have nominated yourself for this post and hence you must campaign wisely. Prepare yourself with the list of points in which you may benefit the company and also prepare yourself with a dossier of core competencies that you may have which will add to the position the company is offering. We must agree that so much has changed in today’s world, starting from the rise of social media to the state of the economy. All these factors influence a C level job today. A proactive job search and the need to find your dream job should primarily be the thought that fuels the urge. How about you share your opinions with us? What is the feedback that you would want to give us based on the above discussion? This topic is a very challenging one and we welcome energetic minds to share and opine about the same. All the best to all of you who might have read this article and we hope that this has helped you in more ways than one. Next articleHow to Prepare for a Job Interview with CEO?